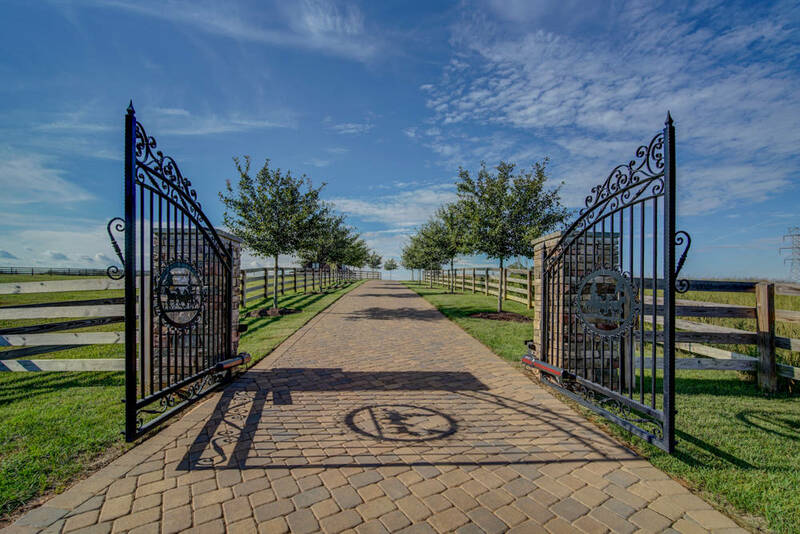 Located in beautiful Campobello, South Carolina just 30 minutes from T.I.E.C., this impressive equestrian estate welcomes you through its own private security gate down a long, brick paved driveway bordered by trees and lush green pastures. 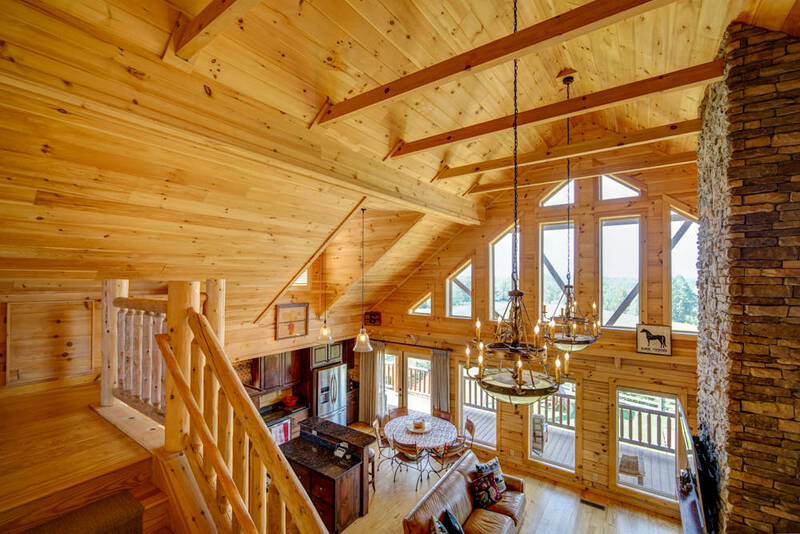 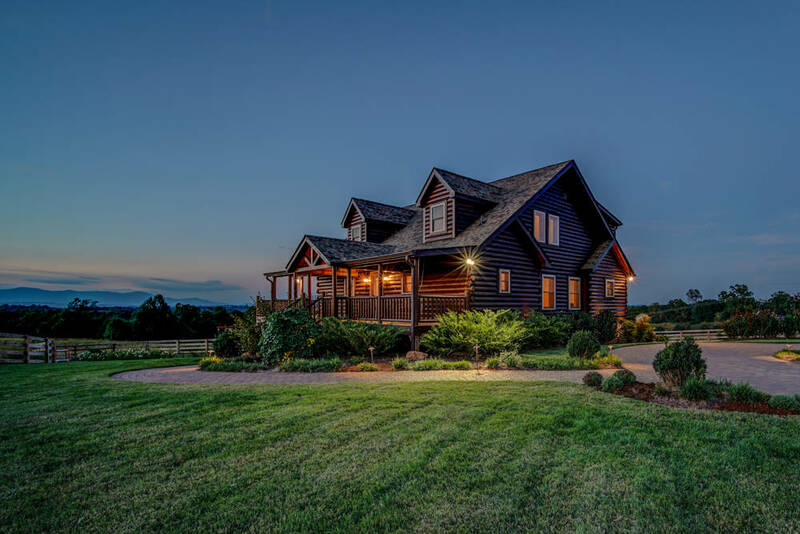 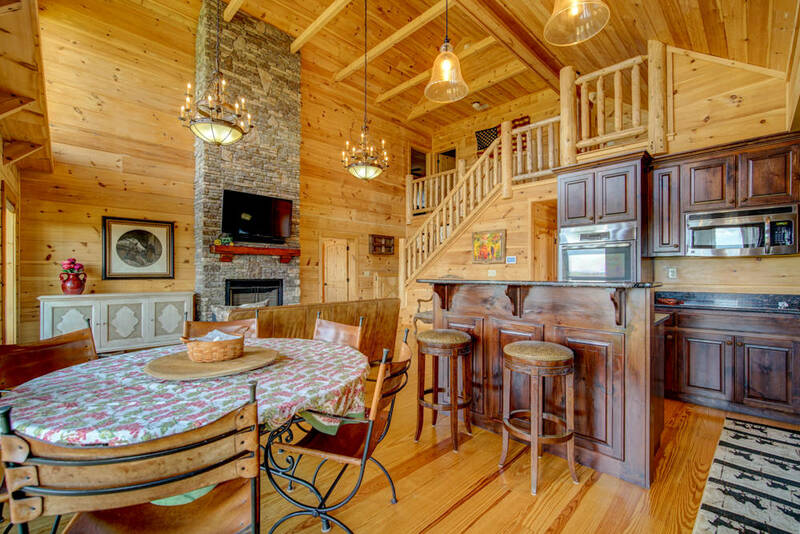 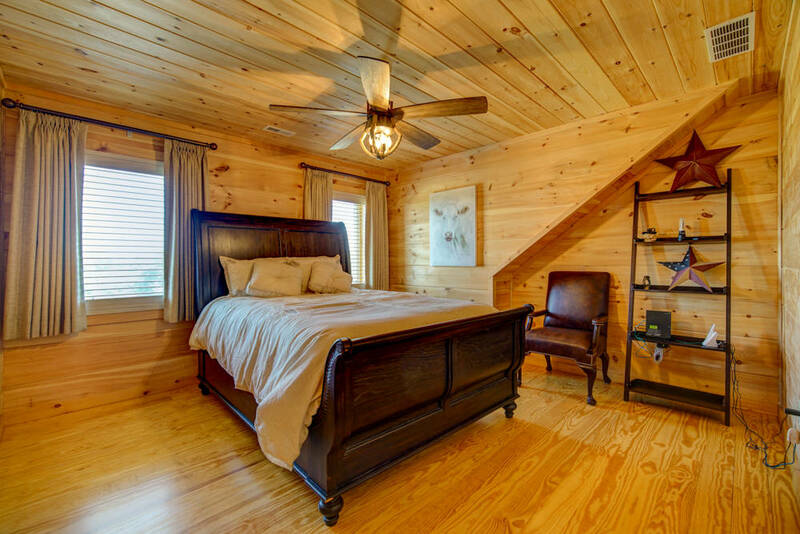 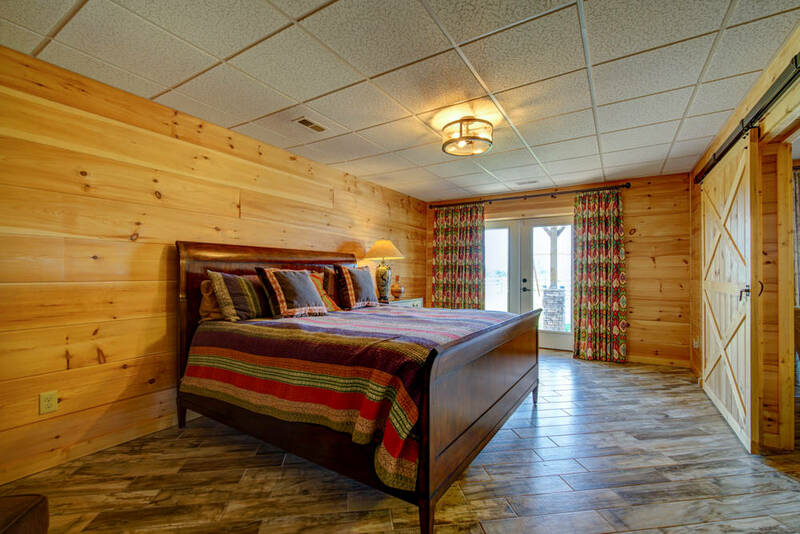 To the right of the circular drive is a gorgeous 5 bed room, 4.5 bath Blue Ridge log cabin with dramatic wrap around porches that display stunning, majestic views. 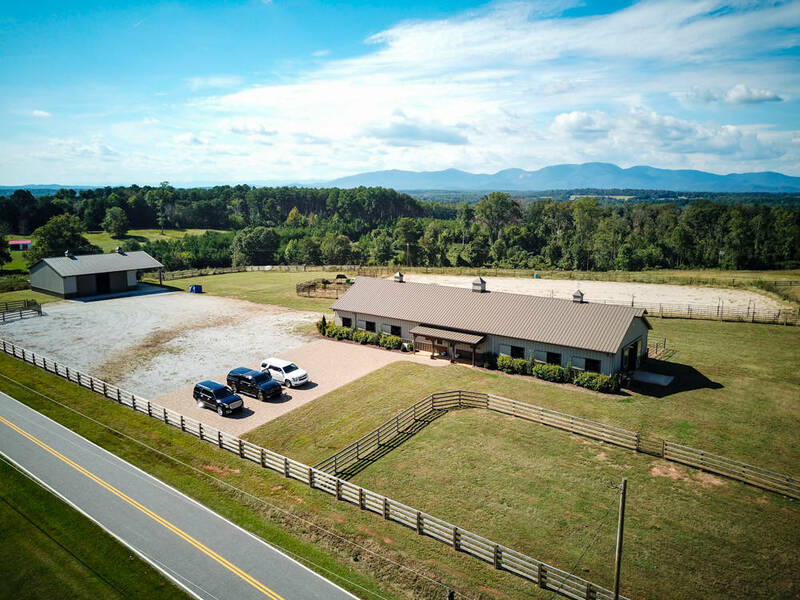 Ranch 357, proudly displayed on 31 acres of which 30 are fenced, also includes 25 acres of pastures, a 12 stall Morton barn with large parking pad, 9 paddocks, a 250 x 120 ft. arena with 6” of river sand, and a hay/equipment barn. 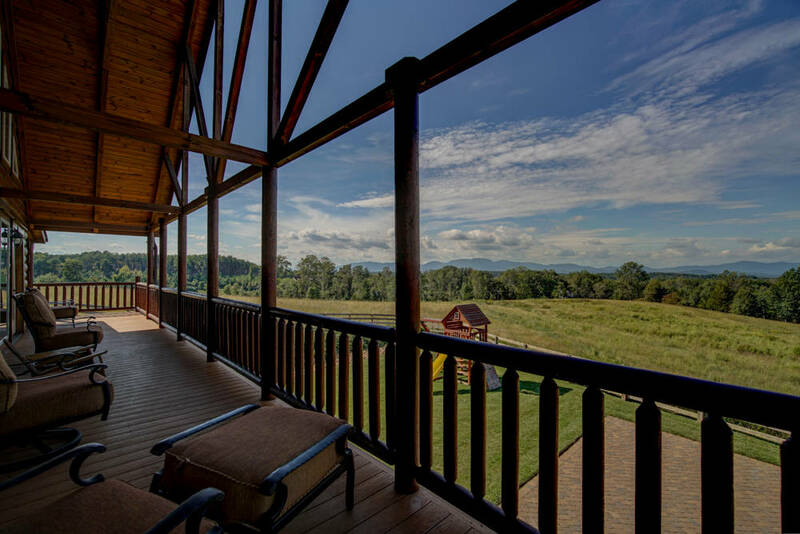 An abundance of impressive home details augment the stunning mountain views and rolling pastures. 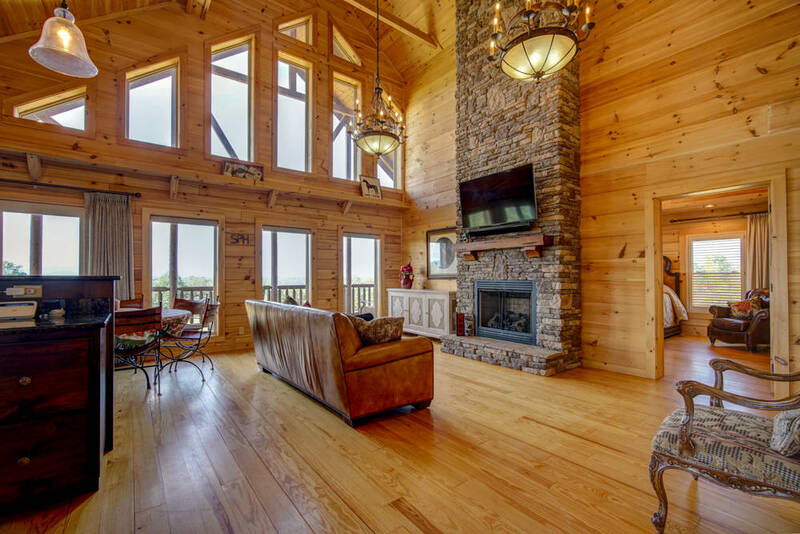 The main living area, with its towering, vaulted ceilings and floor to ceiling windows, boasts a 2 story, stacked stone fireplace, exquisite chandeliers, open floor plan with gleaming pine floors and walls. 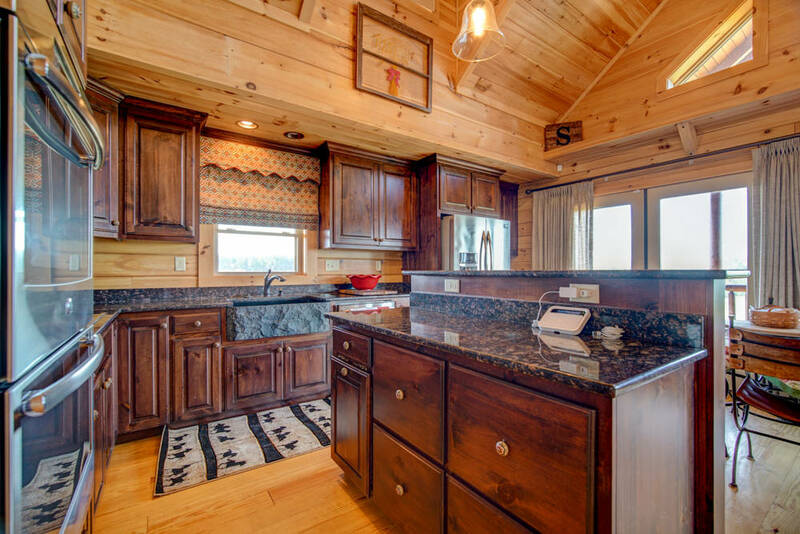 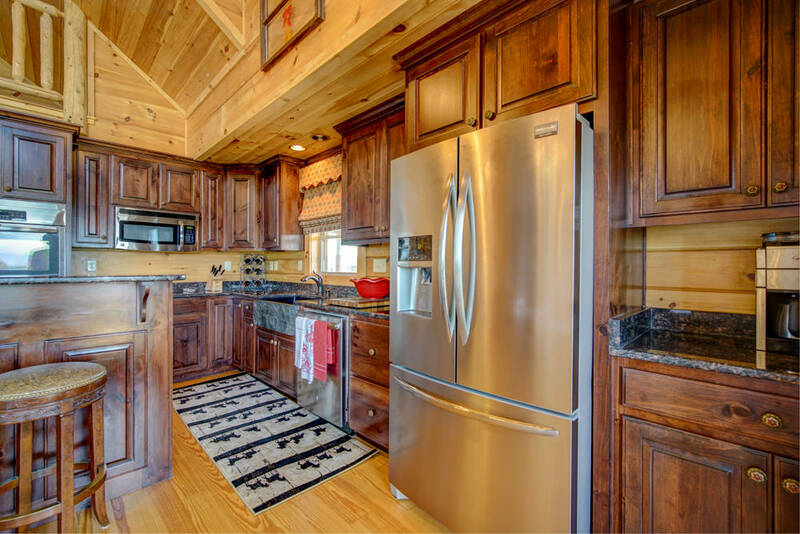 The custom kitchen includes an island bar, granite counters, stainless steel appliances, double ovens, walk-in pantry, and a unique black stone farmhouse sink! 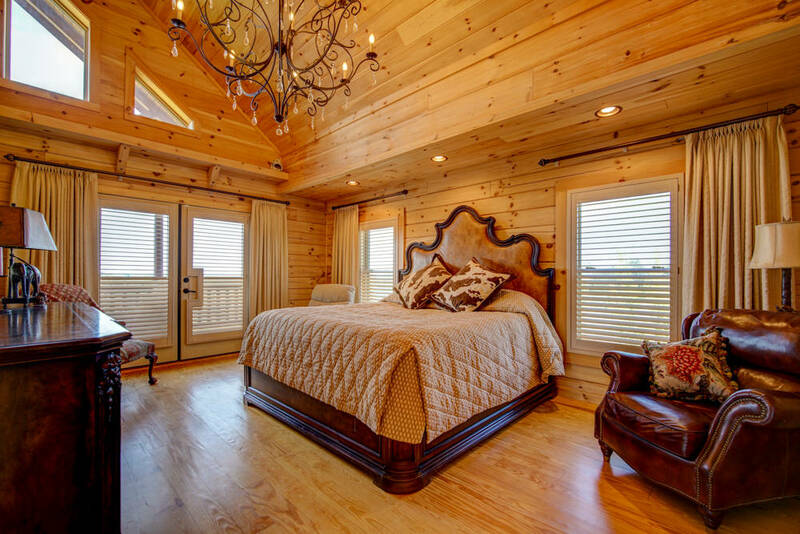 The master suite, with its own vaulted ceilings and elegant chandelier, is bright with windows and French doors that open to a covered porch. 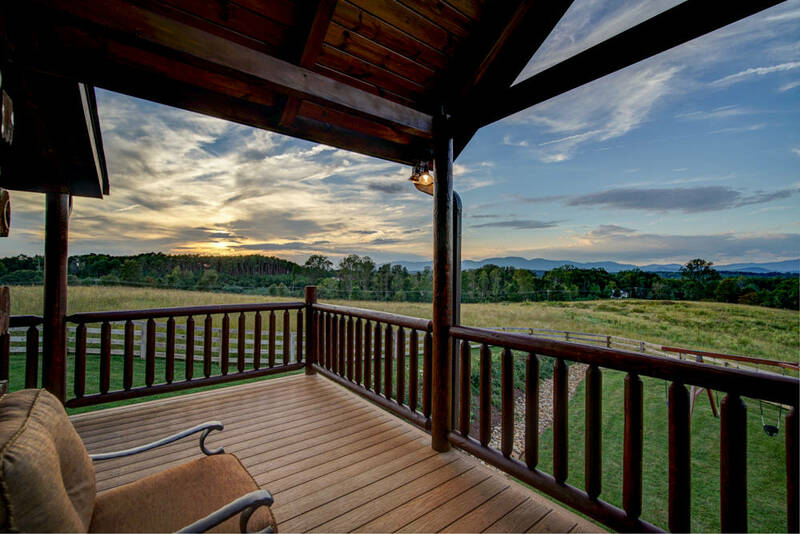 Perfect for enjoying the breathtaking mountain views with morning coffee!! 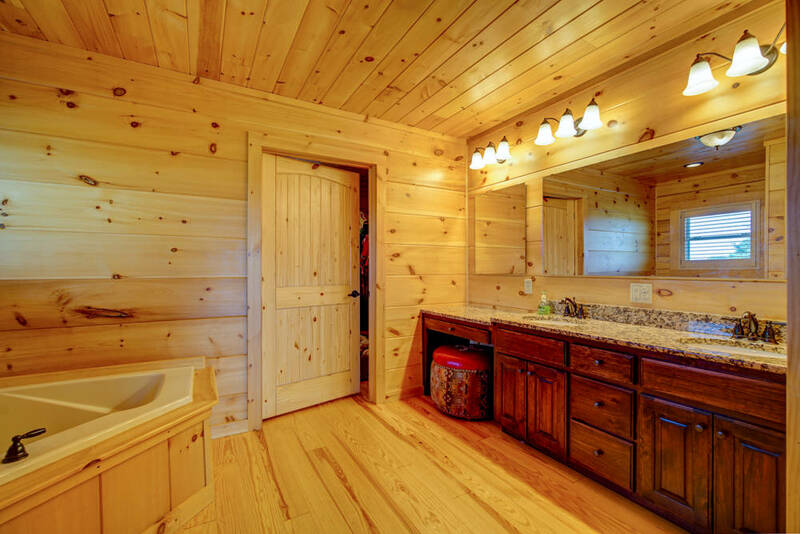 The ensuite bath is complete with granite topped, double sink vanities along with a make-up vanity, jetted tub, walk in shower and expansive walk-in closet. 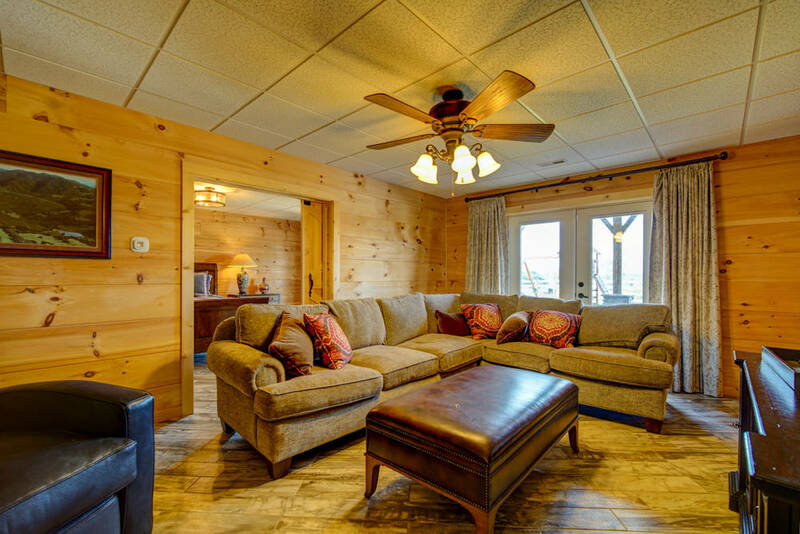 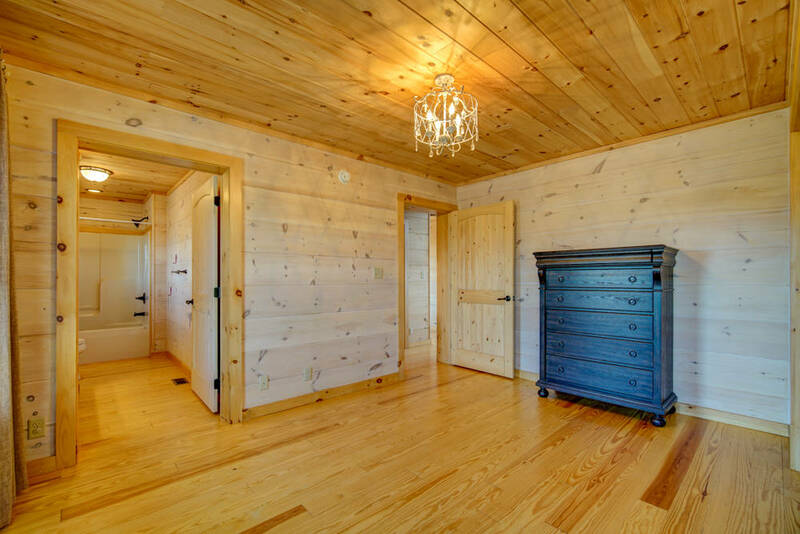 On the main floor, you will also find a powder room and a lovely guest bedroom suite. 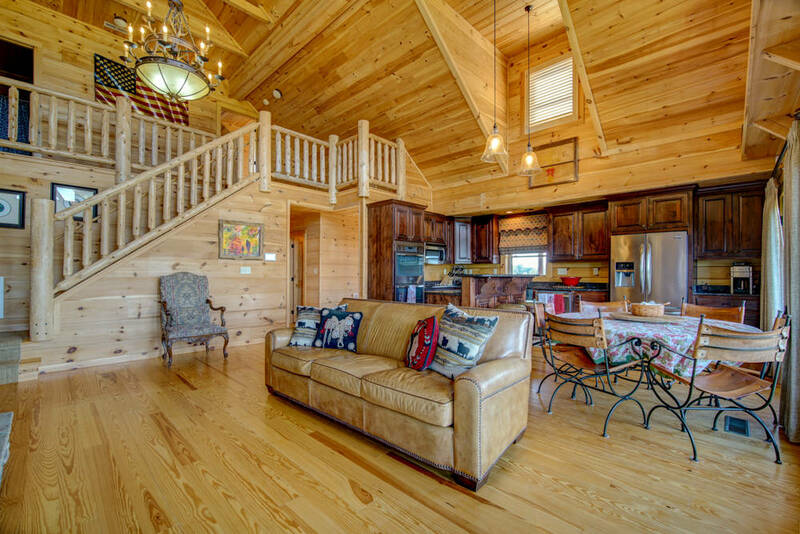 Up the beautifully carved staircase, you’ll discover 2 more bedrooms, a full bath, and a loft area which showcases, again, the beautiful great room and gorgeous mountain views! 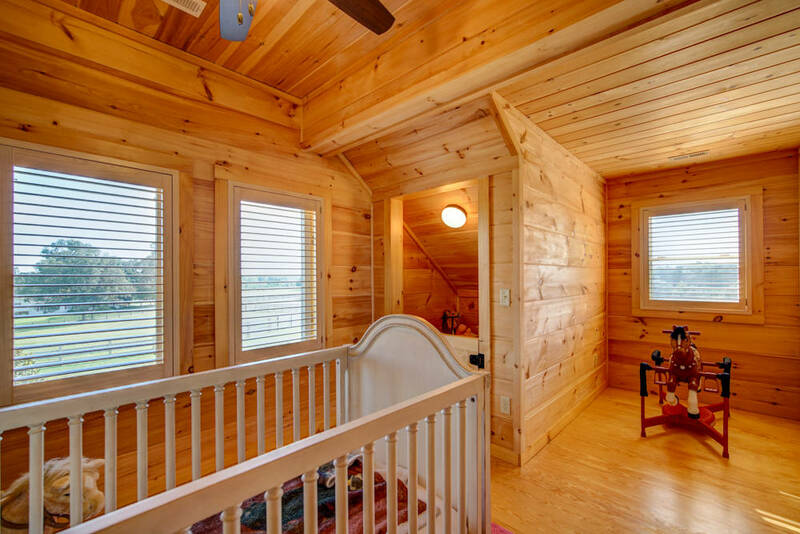 The daylight, walk-out finished basement could be a perfect in-law suite including living area with French doors opening to a private patio, a large bedroom tucked behind a sliding barn door, attached full bath, laundry room, sink and refrigerator. 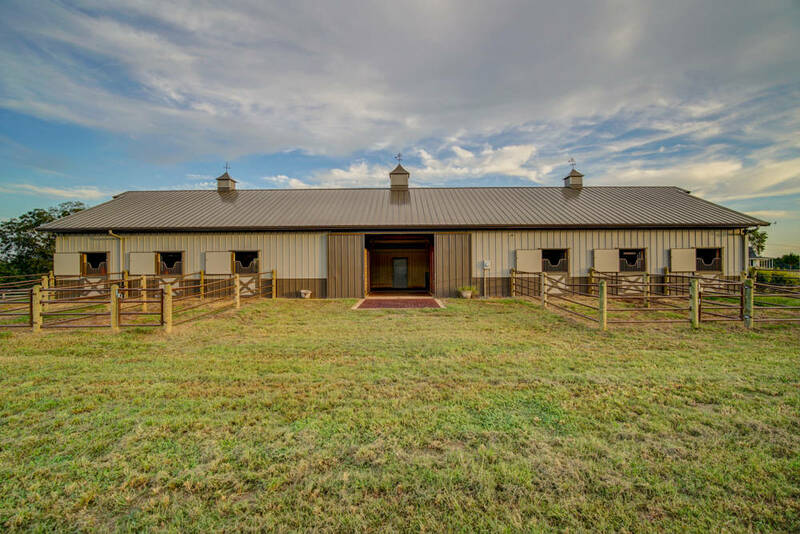 The equestrian facilities are second to none in the area and were custom designed by Morton Barns for boarding, training, and selling horses. 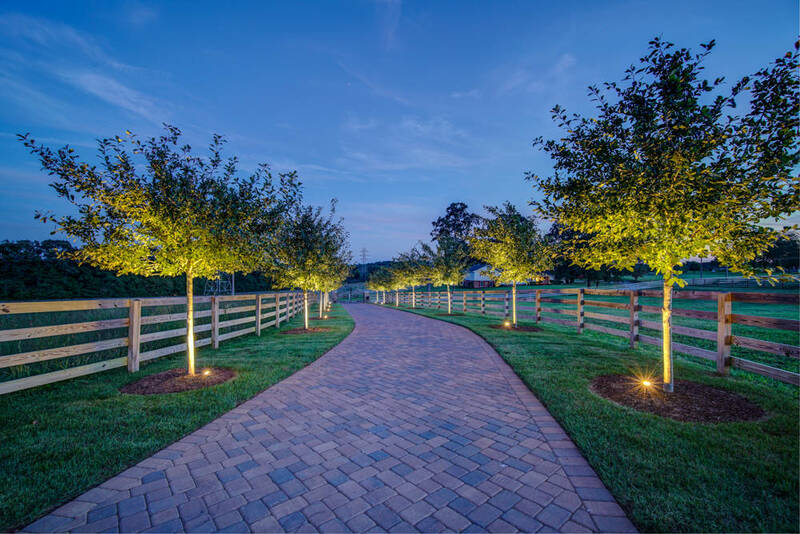 A separate, private, automatic gate from the main road brings you to an extra -large, gravel parking area along with an additional, brick paved parking pad directly in front of the tastefully landscaped, irrigated grounds surrounding the front of the barn. 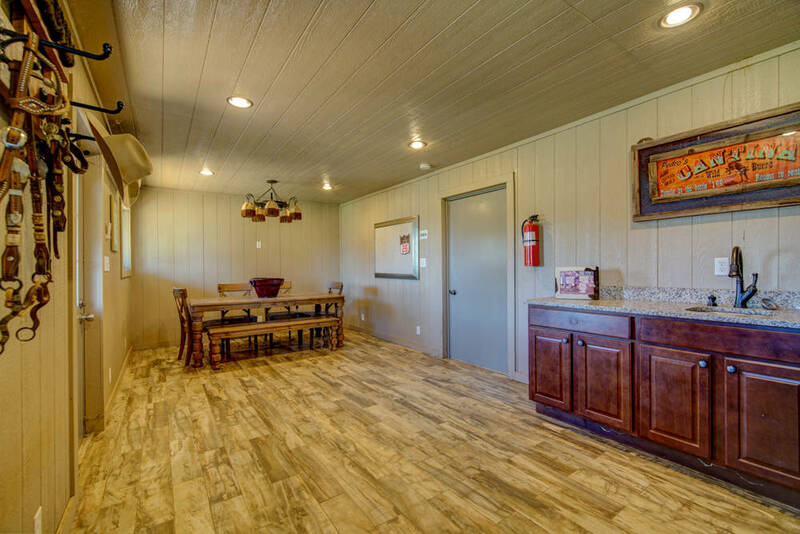 The covered entrance takes you right into the heated/cooled office space/cantina complete with Italian tile floor, built-in cabinets, conference table, sink, refrigerator, and 2 half baths. 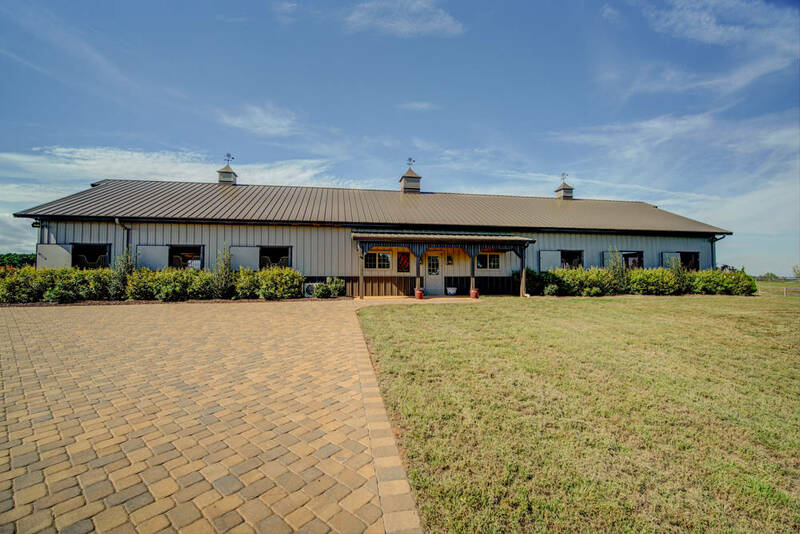 The impressive barn is a 108 x 36 ft. Morton building with upgraded rubber paver hallway, upgraded sliding barn doors with windows, 12 upgraded stalls complete with sliding doors, fully insulated and hidden water supply, rubber matting with French drains, individually controlled fans, swivel feeders with a grain trough and a hay bin. 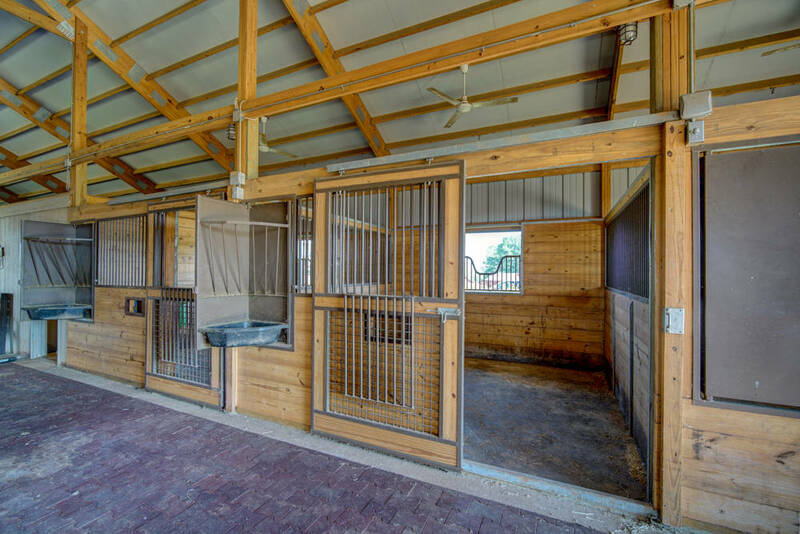 The stalls could easily be converted into large foaling or stallion stalls. 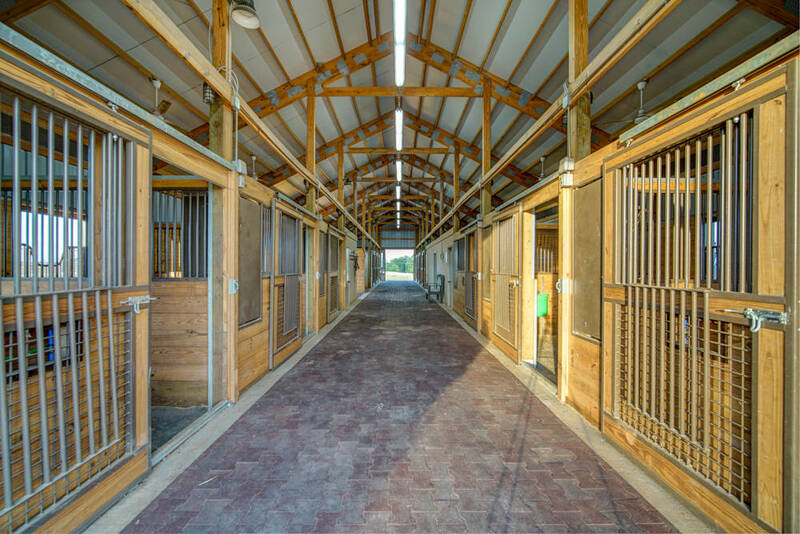 Six stalls have their own turnout paddocks. 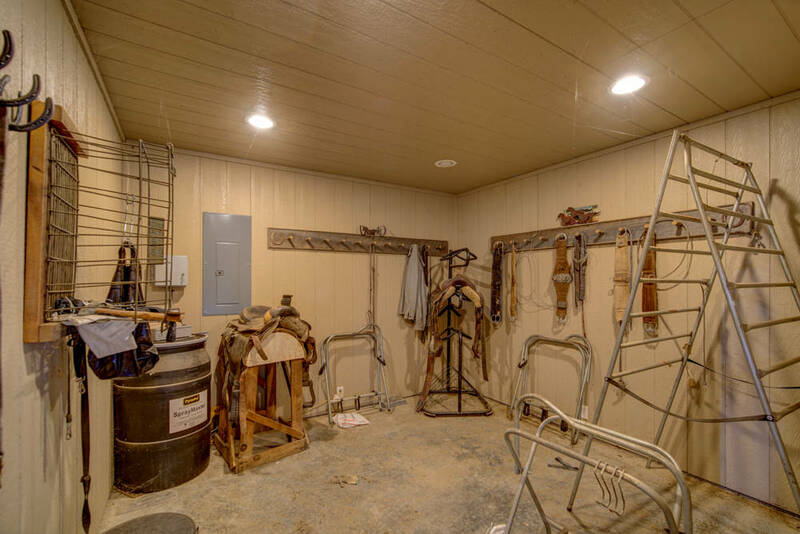 The barn is also equipped with a tack room, feed and utility room, wash bay with hot and cold water, 3 central adjustable fans, lights set on timers, and an automatic fly spray control system. 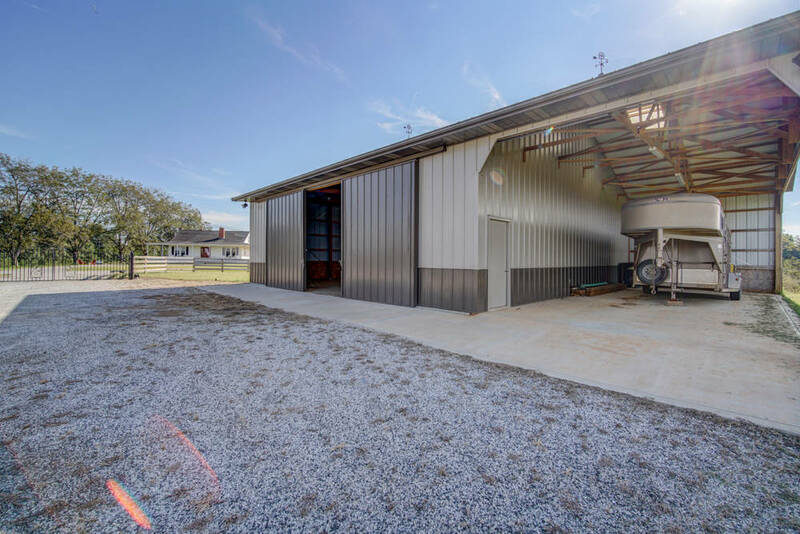 The backside of the barn opens to the riding arena fully equipped with 6 inches of river sand, an auto shoot and several catch and release pens. 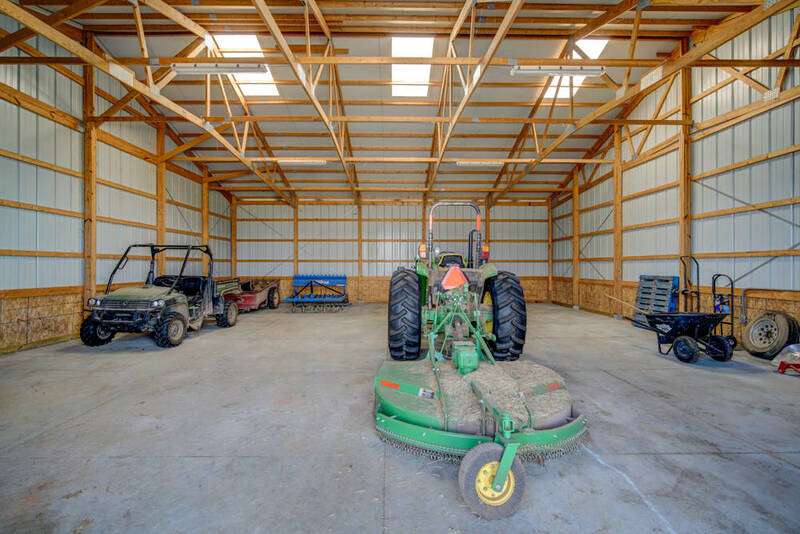 The 42 x 56 ft. hay barn is large enough to not only house hay but farm equipment as well. 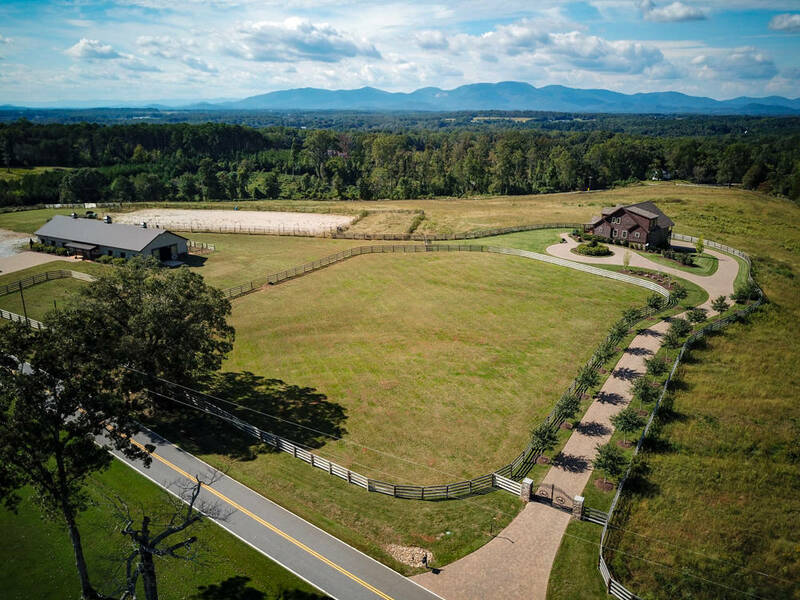 Attached to the hay barn are 3 additional horse turnouts and a covered area to park a horse trailer or RV. 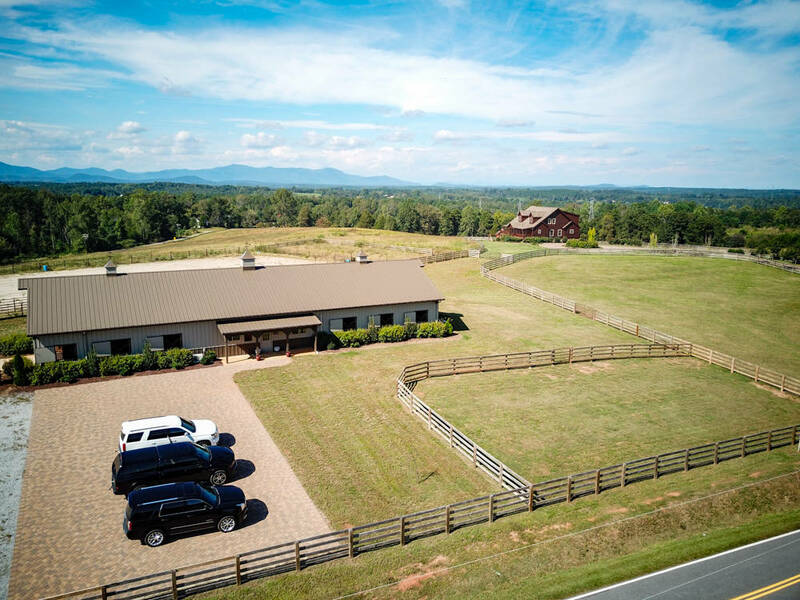 Whether you are a lover of horses, trainer, entrepreneur, equine vet, or sanctuary seeker, this remarkable home with its breathtaking mountain views and impressive facilities are a must see!! 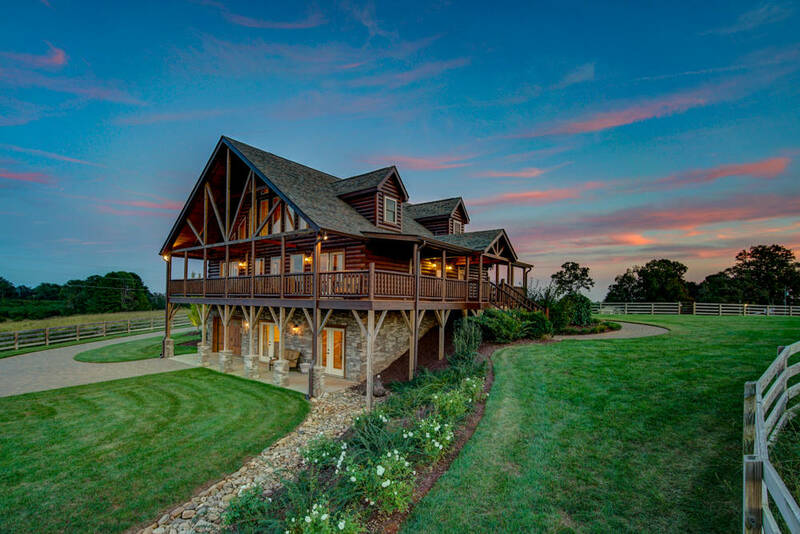 30 minute drive to T.I.E.C.